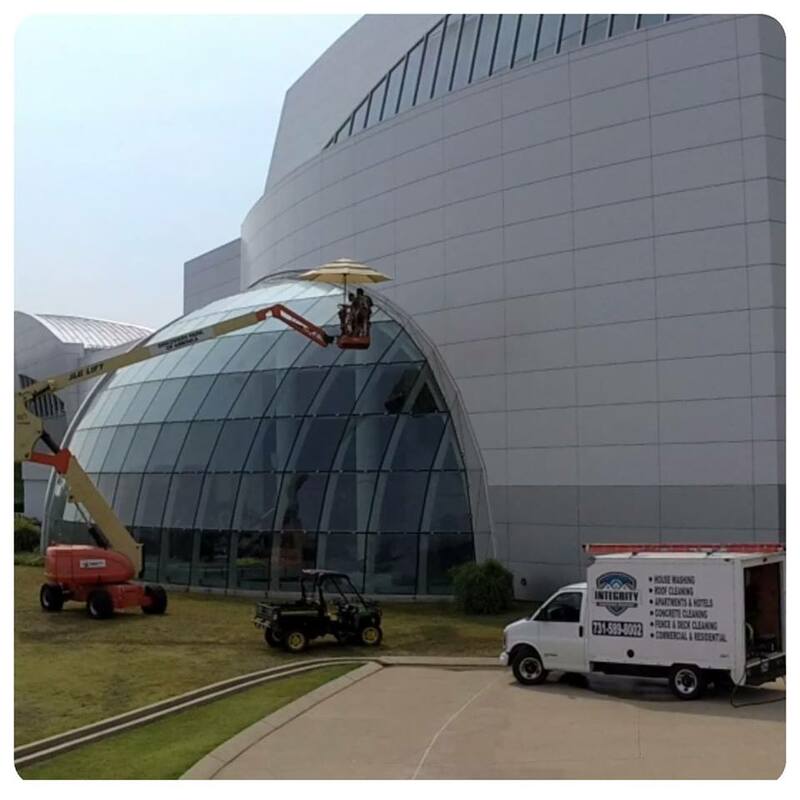 We offer Residential & Commercial Pressure Washing, Softwashing, Roof Cleaning, Window Cleaning and Gutter Cleaning services. Our trained team is ready to tackle any small to large washing you may require. Give us a call today or fill out our online wash estimate form to receive a hassle free online quote! We're fully licensed and insured. 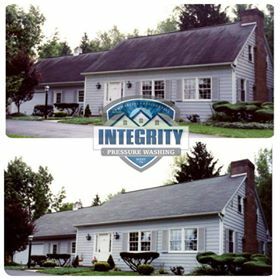 When you call on Integrity Pressure Washing, you're calling on the professionals! Impressive work! Daniel was very professional from the moment I requested an estimate until the job was complete. The house looks brand new! 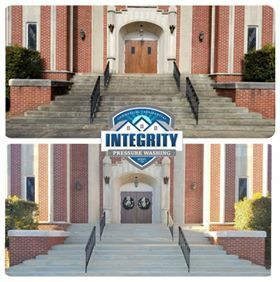 We are extremely satisfied and definitely recommend Integrity Pressure Washing! Great job done on our house and would highly recommend his work to anyone. Also cleaned our church steeple and done an excellent job on it. Dan and his wife are a very sweet couple and with great concern about what you think about their job accomplished for you. He will go the extra mile for you!! 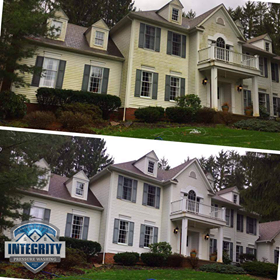 Very Impressed with the quality of work Integrity Pressure Washing done on our home. Great work and extremely fair pricing. We will most definitely use them in the future! Does a fantastic job at a reasonable price. Arrived when he said he would and completed job on time. Very refreshing dealing with a contractor that actually does what he says he will do. Definitely will use again in the future. Great job Daniel!!!! Daniel Stewart just did a great job this morning pressure washing our house’s trim, gutters, and stone front porch. He’s very courteous and professional. We highly recommend him. Softwashing is a process that we use day to day on most of our cleaning projects. This method of cleaning is the superior method vs the older pressure washing method on cleaning surfaces. When it comes to cleaning most exterior surfaces, they aren't designed to take a beating from high pressure. Softwashing, is more of a detergent driven process that not only cleans but kills the organic growth growing on the surface. This gives an end result that is cleaner and last longer! Does someone need to be present during the cleaning? No, as long as we have full access to complete the project, no one needs to be available for us to wash. Please let us know before hand so we can make sure some things are in place before we arrive. Jackson, Lexington, Humboldt, Milan, Dyersburg and surrounding areas. 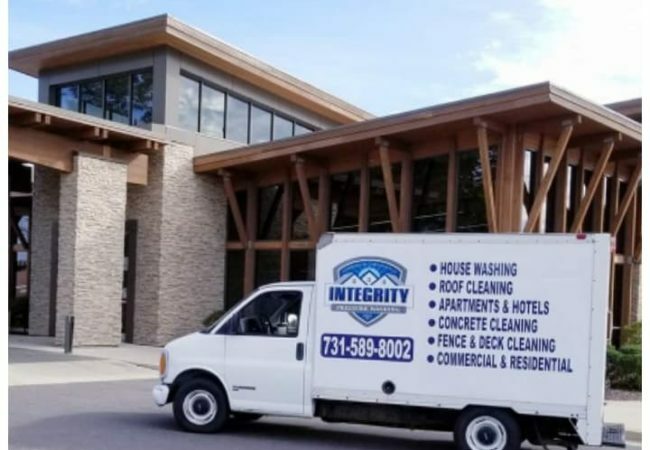 Ready to hire Integrity Wash? Get a quote now! Fill out our form after hours or any time you wish to get a hassle free online washing quote.